Taking its inspiration from the rich textiles history of Asia, the Dynasty Rug Collection from Barclay Buttera is produced in collaboration with Nourison. Each fine rug brings magic and class to any room in the home, with rich heritage designs and significantly symbols woven into the design. 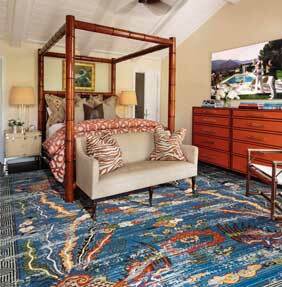 Each rug represents a different dynasty and will become a talking point for any room in the home. There is a choice of standard sizes available and each rug brings a sense of refined almost royal elegance to your home. Please note this range is special order only, please allow 6 - 8 weeks for delivery.